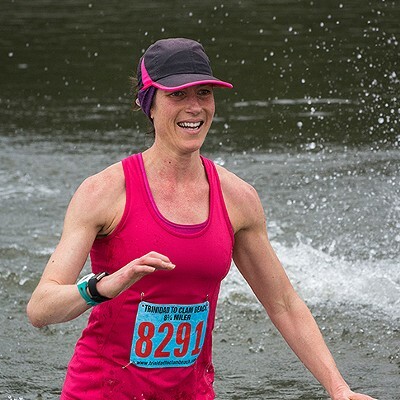 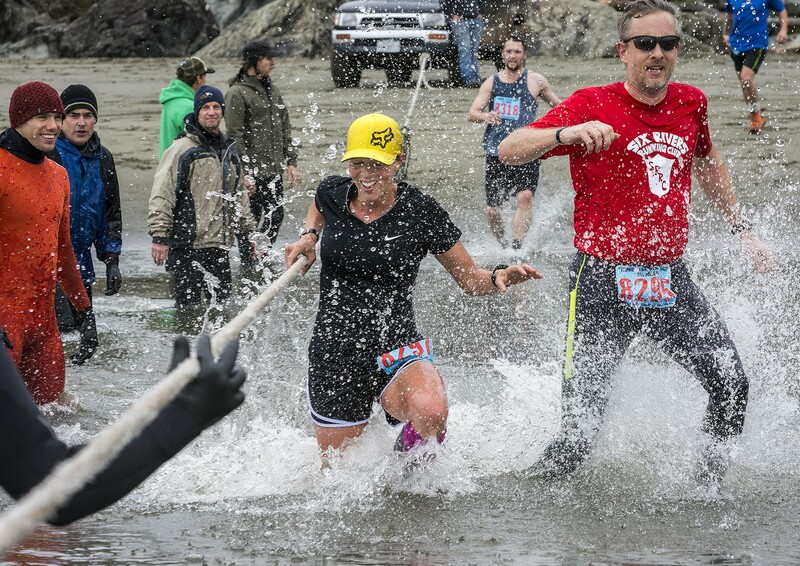 Crystal Mendez (left) and Chris Schinke raised a splash at the Little River crossing in the 8 3/4-mile race. 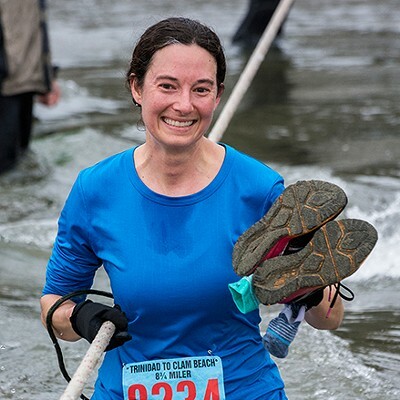 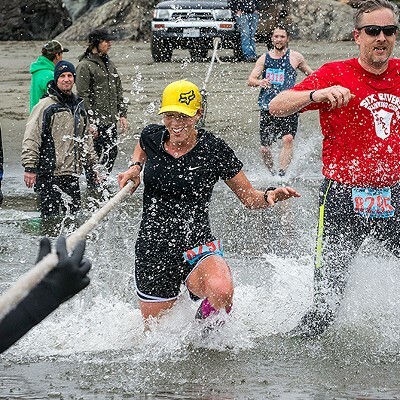 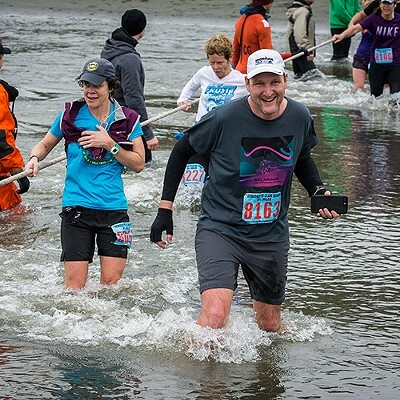 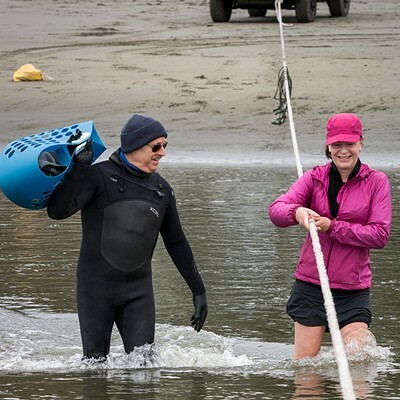 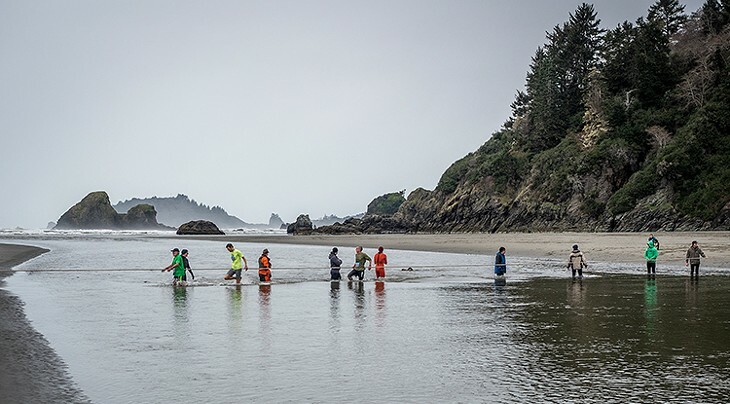 Some 700 runners and walkers braved the light mist, cool temperatures and even colder Little River on Saturday in the 53rd annual Trinidad to Clam Beach Run Honoring Ford Hess. 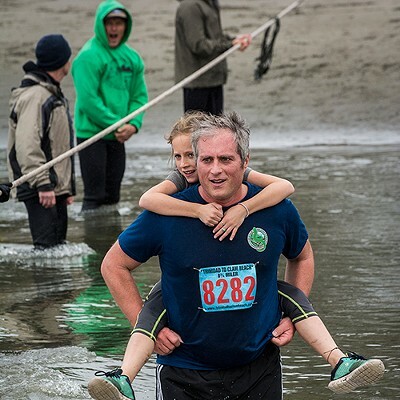 Hess was the Humboldt State University coach who started the race as a training experience for his track and field runners. 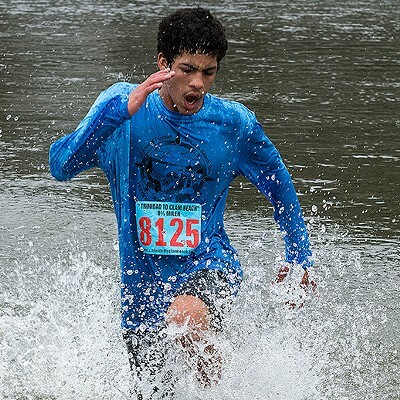 The race's 8.75-mile and 5.75-mile races start north of Trinidad and end at a welcoming fire and music by the HSU Marching Lumberjacks band, while the 3-mile run/walk starts north of the finishing line in Trinidad. 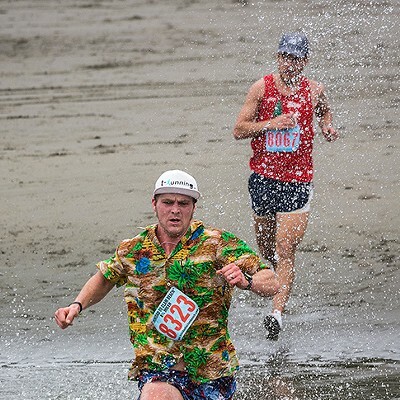 Enjoy the highlights (warm and dry) in the slideshow below.